From the moment your child is born, you want to give them nothing less than the world. As a parent, you want your little one to have the best of everything — from attentive care, encouragement and natural development to the strongest skills, most positive surroundings and most important opportunities in life. When it comes to a bright future, starting off their education in the right place makes all the difference. If you want to provide your child with the tools to be competent, imaginative, expressive and successful by enrolling them at a private Pflugerville, TX school, Sapientia Montessori is the perfect place to put them on the right path. Toddler Community: Providing full child care as well as early enrichment and education, our toddler programs focus on nurturing children in their explorative, formative stage. Primary Community: With a focus on preparing your preschoolers and kindergarteners for the rest of their school career and the rest of their lives, our primary school programs aim to instill a love for learning with an explorative, hands-on curriculum. Elementary Community: With an interactive, multi-disciplinary curriculum targeted toward the experimental, inquisitive side of your elementary school-aged child, we focus on hands-on, engaging learning and essential life skills in our elementary programs. Summer Camp: Want to keep your kids learning and growing in the summer months? Our summer camp programs are full of dynamic, hands-on activities in a variety of world subjects to enrich and engage kids while school is out. After-School Enrichment: Because we believe in growth and continued learning even outside of school, Montessori offers your child the option of after-school enrichment programs centered around challenging, creative and fun activities to get your child even more engaged. Do want to give your child the best opportunity to succeed — not only educationally, but as a human being? When what you want for your child is a life of imagination, exploration, self-awareness, discovery and inquisitiveness, encouraging this kind of development from a young age is key — and our Montessori school offers everything your children need. Our signature, scientifically developed Montessori Method targets growth, discovery and development across all age groups. Trained teachers: Here at Sapientia Montessori, our only focus is your children's development, growth and inquisitiveness. That's why our trained teachers and specialized curricula offer attentive, experienced encouragement and hands-on interaction and discovery. A constructive, stimulating environment: Our environments for every age group and developmental stage are designed specifically for the interests and needs of each age, providing them with precisely the discovery tools, skills, knowledge, hands-on materials and curricula they need to blossom, flourish and excel in school and in life. Hands-on learning: Children are at their best when we give them the opportunity to explore, interact and discover their interests in their own unique way. Because we believe in building children to their best potential, we use our special Montessori method in every curriculum. Each age level is exposed and encouraged in exploration, experimentation and hands-on learning. Projects, trips, activities and interactive experiences are all a part of helping your child blossom. Practical skill development: When it comes to developing your children and preparing them for the world, we don't limit our focus to any one area. While we deeply believe in informational education and creative stimulation, we also place an emphasis on the development of real-world skills from accountability and competency to responsibility, time management and other preparations for their futures. Social skill development: From toddlers to 12-year-olds, the way your children interact with their peers is crucial to their development and their place in the world. Here at the Pflugerville Montessori school, we make sure they learn the essential skills of courtesy, communication and cooperation alongside their academic and emotional curriculum. By reinforcing social skills like teamwork, empathy, sharing, manners and more, we build the best foundations for future adults. Creative encouragement: Education isn't only about information — it's also about imagination. With all our age groups, we incorporate creative exploration and expression into our curriculum to develop your child's inclinations and creative potential through discovery. Cognitive stimulation: Our curriculum is designed to stimulate and invigorate students at all learning stages so they can reach their full cognitive potential. We know how to challenge and engage our students to instill a lifelong love for learning and thinking. 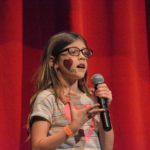 Encouragement of emotional expression: We want our students to have emotional lives as healthy and well-developed as their academic lives — that's why we encourage communication, emotional identification and self-expression at all times. We'll grow your children into self-aware, emotionally developed individuals. 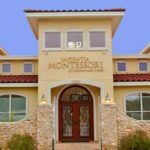 When you're looking for an authentic Montessori school near Pflugerville, there's nothing more important than making sure the institution has an accreditation from the Association Montessori Internationale (AMI), which ensures the school is abiding by the Montessori Method of Education in all its curricula. All our Sapientia Montessori locations meet the most rigorous requirements in every class setting, satisfy state requirements on each learning level and are recognized by both the AMI and its American counterparts. 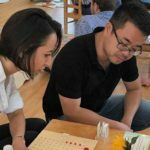 Here at our private Montessori school near Pflugerville, TX, your child will receive so much more than an education — they'll be exposed to the inspiration, motivation, encouragement and skill development they need to last them a lifetime. Do you want to give your child the gift of multi-disciplinary learning? Contact us to schedule a tour or apply for admission today.